What do a San Francisco fashion designer and French winemaker have in common? Surprisingly, a lot. 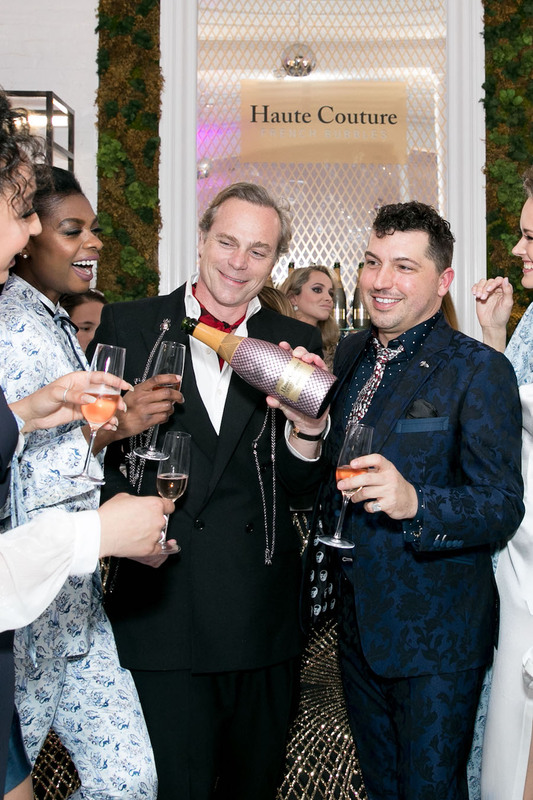 Jake Wall and Jean Charles Boisset are two locals who focus on helping people live their most fabulous lives. Wall through his glamorous and flashy clothing line, Jake, and Boisset through his robust selection of fine wine, the Boisset Collection. Both are gentleman about town who know how to throw a fantastic party. Both have a penchant for animal accents, luxurious materials, and over-the-top opulence. Having spent their entire lives perfecting their respective crafts, both are incredibly good at what they do. Both have also recently launched exciting new projects. 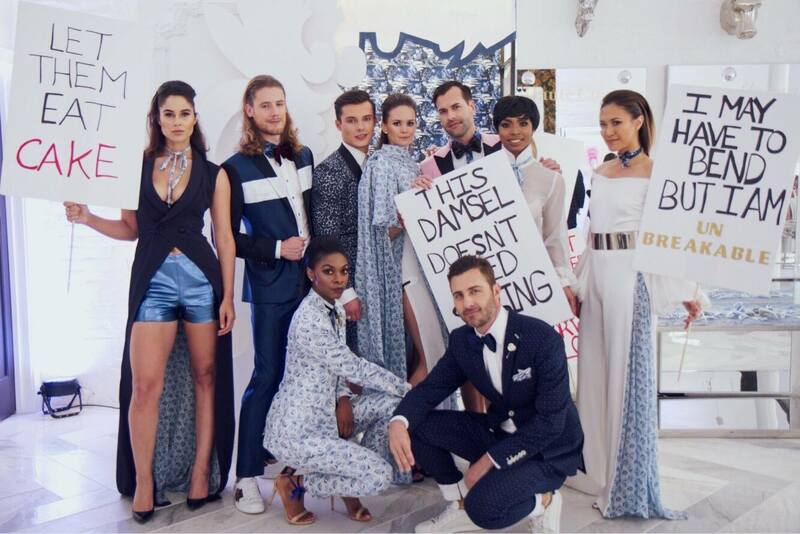 Wall has debuted his new capsule collection, Les Liaisons Dangereuses, and Boisset has released a new line of sparkling wine, Haute Couture. 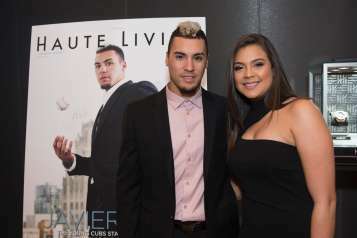 At a recent event, the dynamic duo came together to unveil their respective ventures. Guests mingled with the designer, winemaker, and their entourages while the new bubbles, a blanc and rosé, flowed. An informal fashion show, with models walking down a runway made of tape on the white marble floor was the highlight of the evening. The entire collection is done in beautiful shades of blue and white. Pieces we love include a quilted bomber jacket and bell sleeve mini dress. 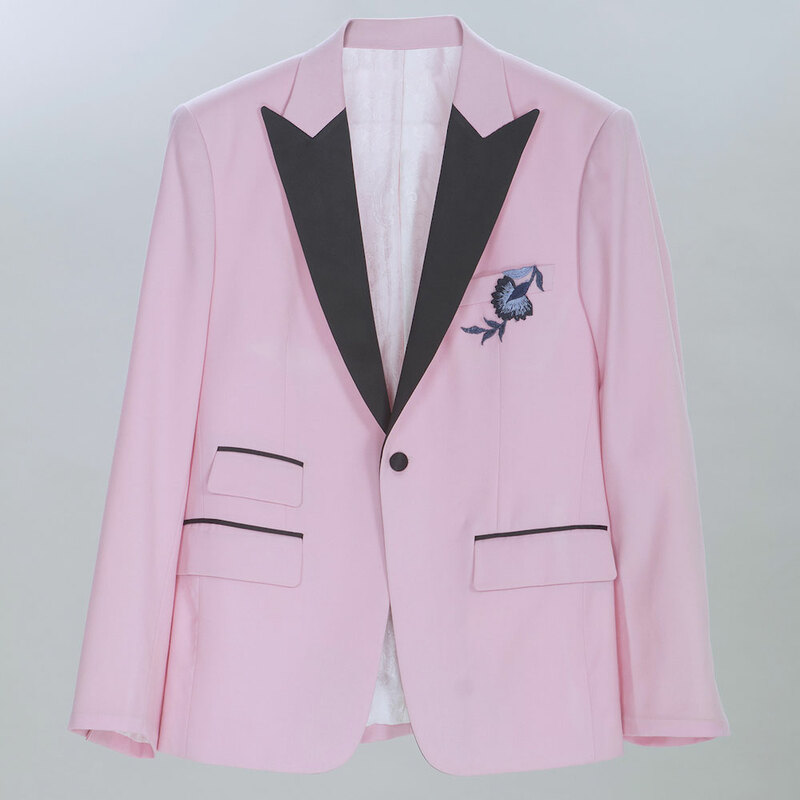 The menswear features the same print in a darker navy, several suiting options, and a fantastic pink tuxedo jacket. “The collection is one of power, it is one of beauty, it is one of intrigue, and it is definitely, as always with us one that explores I think, sexuality without necessarily being salacious,” Wall says. It ties in perfectly with Boisset and everything that he does. As Wall puts it “there is power, there is beauty, there is sexuality in what he distills into a bottle. And at the same time without being salacious, and that is why we are so proud to be coming together to celebrate our achievements.” The bubbly is available for a reasonable price and comes in both standard 750 ML bottles as well as 187 ML mini bottles. The grapes are sourced from France and the winemaking team has crafted a delightful blend of Pinot Noir and Chardonnay with higher dosage levels resulting in a delicate sweetness and smooth richness. “Our newest wine embodies how style influences our winemaking vision. Haute Couture is a composition of the best that France has to offer, tailor made into a beautiful elixir with a taste that is voluptuous, decadent, and provocative!” Boisset says. 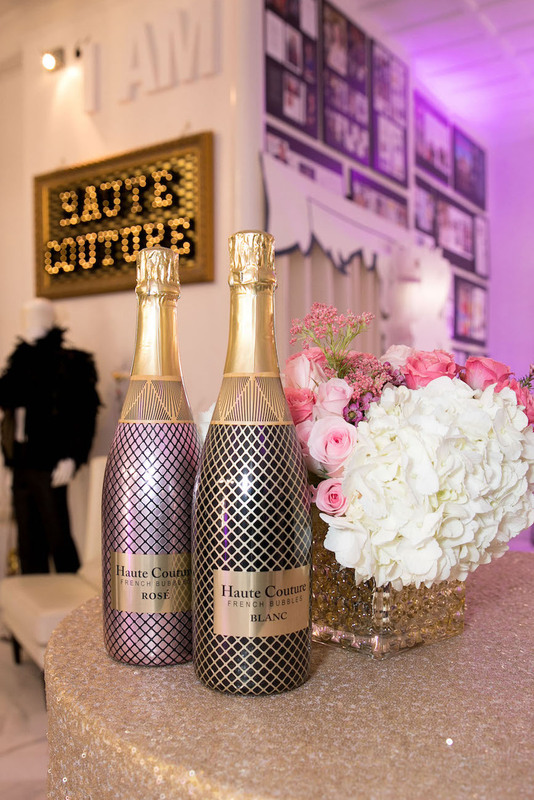 “The same level of artistry, passion and attention to detail that comes together in creating a one-of-a-kind pieces of clothing goes into crafting a bottle of Haute Couture.” Thus, it’s only natural that the fashion designer and winemaker came together to toast their perspective launches. Kudos to both!